Metric Fine Thread Lock-Out Type. 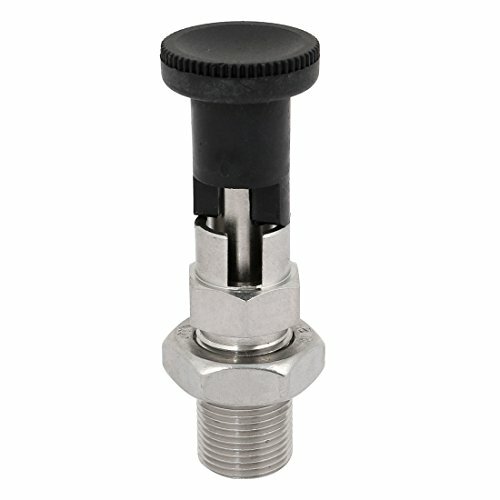 Stainless steel plunger body, plastic knob. Pin Length: 9mm / 0.35"; Pin Diameter: 10mm / 0.39"
Thread Diameter: M20; Thread Length: 30mm / 1.18"